Anyone starting out in franchising faces two critical financial hurdles: 1) finding the capital to start, and 2) surviving the start-up years. 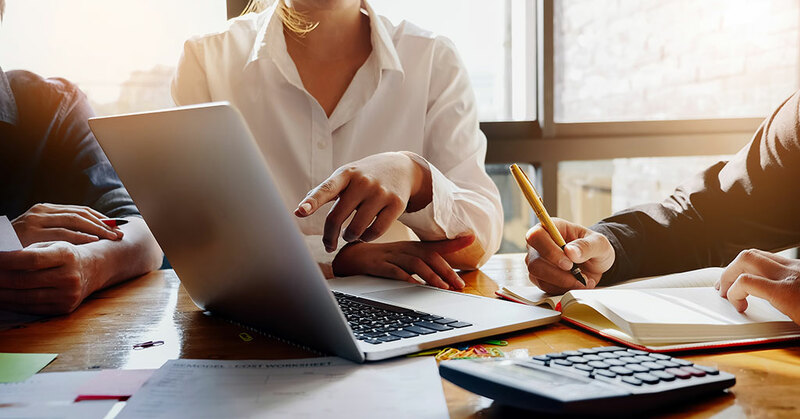 Both require careful and accurate budgeting, not only for the business itself, but also on the personal side, as most start-up businesses stretch household budgets at the outset and usually play a key role in keeping individuals and families afloat. Just because you love to do something doesn't mean you'll be good at turning it into a successful business. That's the essential idea behind "The E-Myth" (as in Entrepreneur), a concept popularized by Michael Gerber in his 1985 book by that name, and expanded 10 years later in his next book, "The E-Myth Revisited." Gerber's idea is that running a successful business demands a constant interplay of three very different, often conflicting, skill sets: 1) the Technician (the part of you that wants to be left alone to do what you love); 2) the Manager (who organizes, plans, schedules, and keeps the business on track); and 3) the Entrepreneur (the visionary who sets the direction of the business and drives it forward). The E-Myth, says Gerber, is the notion that anyone who opens a small business is, by definition, an entrepreneur. Not true, he says. The high rate of business failures occurs because the three parts are a) necessary to long-term success, and b) inherently at cross-purposes. In most cases, problems arise because the start-up business owner knows a tremendous amount about what they do (the Technician), but lacks the skills to operate the business (the Manager), and/or the ability to shift direction in line with their changing customer base (the Entrepreneur). In many ways, it's like having three heads, each pulling in a different direction. As Gerber described it, "Suddenly the job he knew how to do so well becomes one job he knows how to do plus a dozen others he doesn't know how to do at all." One of those skills may be budgeting. Thus, the importance of developing your Inner Manager (or hiring someone skilled at budgeting to take care of the business), so you can continue to do what you love. If you don't possess the managerial skills essential to creating a viable, sustainable small business (or lack the money to hire a Manager), here's a primer on what you need to look for and learn to keep your business alive. The franchise fee. This is black-and-white. It costs what it costs. However, what's become increasingly common in recent years is that franchisors seeking to continue expanding in a competitive market are offering various incentives, abatements, and delays in when that fee is paid, and on what terms. If you're looking into a segment or brand that's more expensive than you can initially afford, it's worth looking for such incentives, or trying to negotiate more favorable terms. Remember that the franchise fee pays for your training, as well as for the right to use the brand's trademarks and operating system, so you're investing in yourself. Ask a lot of questions. Train hard. Initial capital investment. Depending on the brand, industry, and location, this cost can vary tremendously. Outfitting a retail food unit and leasing the space, buying a van for a mobile service business, or setting up a home office for an interior decorating business requires a very different initial investment. While the franchisor can, and should, be a tremendous help in estimating start-up costs, for the real deal, speak with existing franchisees. They are the best source of what it really costs to set up and operate a successful unit. Working capital. The first few years of any small business require time to build a customer base large enough to generate sufficient cash flow to turn a profit. Depending on the brand (and many other variables), this can take as few as six months to as long as two to three years. Franchisors should have this charted out in detail in their Franchise Disclosure Document (FDD), and can help you with the specifics. But again, be sure to ask franchisees what they needed to get to break-even: how much and how long. Having a year of operating capital in the bank is smart. Ongoing fees. Ahh, royalties. And don't forget contributions to marketing and advertising. Royalties (about 5 percent, variable by brand) most frequently are based on gross revenues, not profit. They come off the top, based on sales. So for every $100 in sales, you see $95. An additional 2 to 4 percent is levied for national and regional marketing and advertising, so that can be almost 10 percent of revenues — and we haven't even talked costs: rent, wages and benefits, supplies, maintenance, insurance, taxes (federal, state, local), attorneys, accountants, advertising, marketing, etc. As you explore the many franchise concepts you think may suit you, there are a number of steps to take before you choose one, including whether you can afford the cost of entry and surviving the first couple of years. Any reputable franchisor should be able to provide a great deal of assistance in this area. They've done this before, dozens, hundreds, or even thousands of times, and they want their new franchisees to succeed. Basically, a budget is a big picture overview of all your income and expenses. If you want to control your destiny by having your own business, developing a realistic budget gives you more control over your business, thus more control over your destiny. Make financial models. Numbers don't lie. In fact they tell great stories. As you examine different brands, build a business plan and pro forma for each. Some franchisors will provide blank templates for you to fill in. Because of FTC regulations, however, they are restricted in providing feedback, so run your projections by existing franchisees. Many experts recommend choosing franchisees who are doing well, average, and poorly. Financial modeling and forecasting software is available for nominal costs, and free templates and worksheets can be found online. (See the Resource List below). Seek professional review. Run your budgets, business plans, and pro formas past an accountant. Choose an accountant who knows your industry, and preferably franchising. Again, franchisees may be willing to refer you to someone they use. Having a realistic discussion with an unbiased, unemotional professional can save you a lot of pain down the road. Prepare budgets that are optimistic, neutral, and pessimistic. Above all, be realistic. Expect the unexpected. Despite the best-laid plans, surprises will arise. Delays can cost you money. Finding a site can take longer than you think. If you've signed a lease, you may end up paying rent for an empty store for several months because of construction delays. Hiring employees may take longer than you thought; and the people you hire may not work out, and you'll have to train new ones, which costs time and money. Customer count may build more slowly than you forecasted. A construction project may choke off foot or vehicle traffic. Anything can happen, which is why experts recommend having a year or more of capital on hand to tide you over until your cash flow outstrips your expenses. If you're unfamiliar or uncomfortable with budgeting, get help. Low-cost assistance is available through SCORE, your local chamber, and for free through many online resources. So rather than delve into the micro details of how to budget for a new franchise (or for any small business, for that matter), here is a sampling of some online resources you may find helpful.